The second annual Barking Bubbles Fundraiser for Customer Canines Service Dog Academy takes place this Saturday from 11:00 am to 4:00 pm. 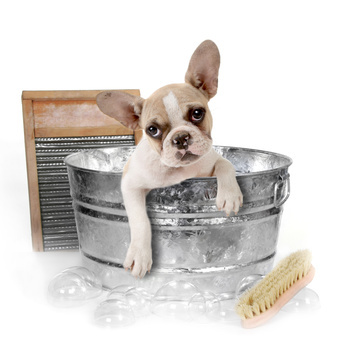 For a small donation of just $10 your pooch will get a bath with luxurious pet spa shampoos. Nail trims also available for $10. All money raised goes to Custom Canines www.customcanines.org, a local non-profit organization that raise and train service dogs to be placed with people in need free of charge. 100 dirty dogs are needed to reach our goal of raising $1,000 so bring your dog by for a summer bath. RSVP to this event on Facebook by clicking here - Another great way to spread the word about this fantastic event. As you are undoubtedly aware, responsible pet ownership involves not only caring for your pets, but also taking care of yourself. In 2011, Americans spent more than $13 billion on veterinary care and almost the same amount in pet supplies and over-the-counter medications. Keeping your pet healthy ensures she or he is happy, which can help prevent situations that can damage your pet's health and even yours. Unfortunately, there are medical issues that can occur due to having a pet in the home, from allergies to injuries resulting from playing too roughly. Investing in health insurance is a great way to protect yourself from possible risks associated with pet ownership. Proven to be beneficial to human health in many ways, pet ownership can sometimes have negative effects as well. Minor injuries, such as a scratch from a startled cat, or more serious wounds like dog bites can result from interactions with your pets and other animals in your neighborhood. Obtaining health insurance for your whole household protects you against unexpected financial consequences if your pet accidentally injures you. Injuries like a scratch or ankle that gets sprained during a run around the neighborhood are often treatable at home, but a bite from a dog or other pet may require a trip to the emergency room. It's always wise to keep in mind that you own an animal, no matter how domesticated she or he may be. When you first bring a pet home, she may be afraid of her new surroundings and bite as a defense mechanism. The same can happen when your pet meets another animal in your home or during a walk. Pet ownership isn't usually dangerous, but taking precautions is smart. As summer temperatures spike, the chance of dehydration, a bad sunburn or heatstroke after an afternoon at the dog park is possible. Have fun with your pet but always keep your health needs in mind. 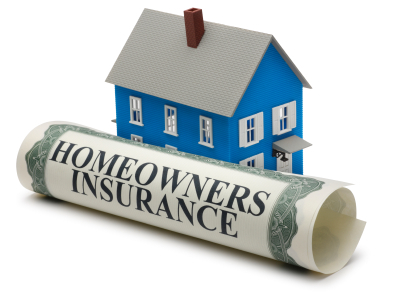 Regardless of your financial situation, you can find an individual or family health insurance policy with the right balance of low premiums and out-of-pocket costs to take care of your needs. Although your health insurance will cover you if your pet injures you, it will not cover any claims for people who are not listed on your household's policy. For protection against liability claims if your pet injures someone else, you'll need to include your pet on your homeowner's insurance policy. Therefore, discuss your pet with your insurance agent early in establishing your policy to ensure you get adequate coverage. Be sure as well to amend your policy when a new pet joins your family. Having the right health insurance can help ensure proper medical care so your whole household remains healthy and happy. Chances are you won't have any issues with your pet, aside from being plagued by stray hair on your clothes and furniture, but it's always a good idea to be prepared for misadventure just in case. Choose an insurance plan that fits into your household budget and enables you to look out for the well-being of your whole household – including your pets. Cameron Tyler is an animal lover who takes great pride in his pets and protects himself with great health insurance. Throughout history dogs have been our friends and companions. They have helped us perform work, enjoy play, and travel from place to place. Some dogs assist us when we have special needs we cannot manage on our own. There have been instances where dogs have even saved our lives. A time may come when a dog or puppy you know will need a human to save its life. Would you know how to perform puppy CPR? Puppy CPR Infographic Via the Carrington College Veterinary Technology Program at Carrington.edu. When you think of “rescue cats”, what comes to mind? Probably a tabby cat, or perhaps an orange tomcat. It is true that the majority of cats in shelters and rescue are mixed breed, but once in a while a purebred cat will find itself without a forever home, too. That’s where Specialty Purebred Cat Rescue comes in! Many purebred cats do not adjust well in a shelter environment. 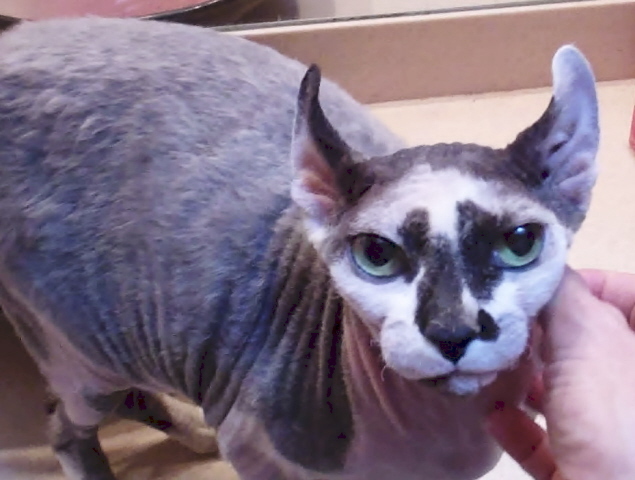 Sensitive breeds like Siamese and Sphynx can become very ill, very quickly when placed in a stressful shelter situation. Purebred cats like Persians and Himalayans have rigorous grooming requirements, and often arrive with painful mats in their long coats. Specialty Purebred Cat Rescue takes in these special purebred cats, provides the proper veterinary care, and matches them up with new forever homes. SPCR is an all volunteer group, and relies on the generosity of foster homes to provide shelter, care, socialization, and even nurse neglected or abused cats back to health. The number of purebred cats needing help is far greater than you might expect, and Purebred Cat Rescue is desperately seeking more foster homes. Kirsten Kranz, Rescue Director of Specialty Purebred Cat Rescue, was kind enough to grant Mad About Pets an interview outlining the need for foster homes within their organization. Please read on to learn more about this wonderful rescue group! (Mad About Pets) Where do the cats in your rescue organization generally come from? (SPCR) Our cats come from everywhere. They come from shelters all over the midwest that call us to take their cats. They come from owners who can no longer keep them. They come off the streets when people find them. It's pretty much never-ending. What are the most common types of cats seen in your rescue? 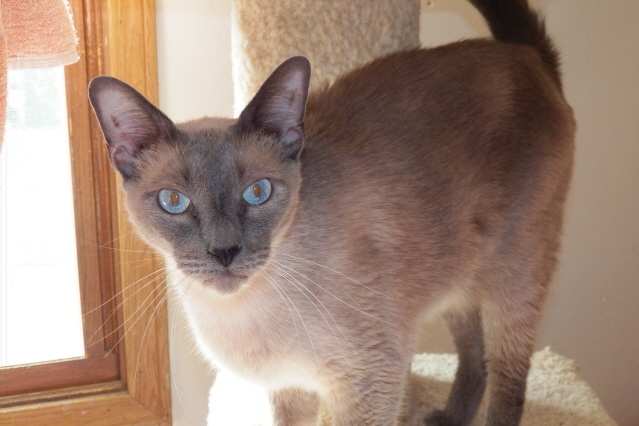 We most commonly see Siamese, Persians, Himlayans and Ragdolls. These are the most common purebreds out there and the most being bred. We place more than 500 cats a year. What exactly is a foster home, and what are foster parents expected to do? A foster home provides a safe haven for these cats to de-stress, get better and receive any vet attention they need so they can move on to their Forever Homes. 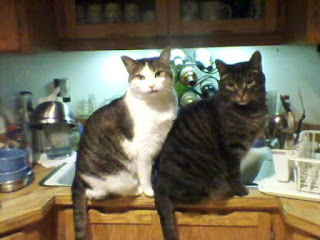 Our rescue is entirely foster-based so we rely on our foster homes to care for and evaluate these cats for placement. Foster parents are expected to provide a quiet, spare room and consistent care for the cats in their care. They need to be able to take them to one of our vets as needed, assess the cats' needs and personalities and work closely with us throughout the process. 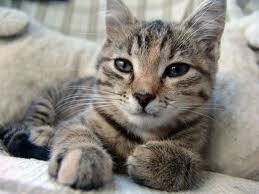 Cats are adopted by screened and pre-approved adopters from the foster parents' homes or from local Petsmart stores. Why are foster homes so important to Purebred Cat Rescue? We are entirely foster based. Without foster homes this rescue would not exist! SPCR takes in rare and unusual breeds, too! Are there certain areas/cities where you are in the most need of new foster homes right now? The Madison and Milwaukee areas certainly need more foster homes as the need is very great. We could also use fosters in the Racine/Kenosha area. How can Mad About Pets’ readers get more information about becoming a foster home for your organization? Please go to our website at http://www.purebredcatrescue.org/fostering-info . We have a fostering information page there. If you are interested in helping out Specialty Purebred Cat Rescue, there are many ways! First, please consider fostering. This is the most direct way you can help. If you’re looking for a new feline friend, you should also consider adoption from SPCR! There are constantly new cats listed on the website, and all of them are looking for a great new home. If you’re unable to foster or adopt at this time, there are many other ways to assist SPCR on their mission. Check out this page to learn all about items the rescue needs to care for the cats, donating through iGive, and many more ways to help out! Fleas are almost invisible due to their tiny size, but they can easily ride into your home on a sock or pants leg. 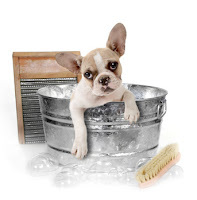 Fleas cause obvious discomfort to your dog or cat and occasionally attempt to make a meal out of you and your family! Ctenocephalides felis, or the common car flea has a complex lifecycle that you need to understand to successfully eliminate. Fleas hatch into the first of several worm-like stages. Immediately, these larvae squirm down into the carpet or grass to avoid light. 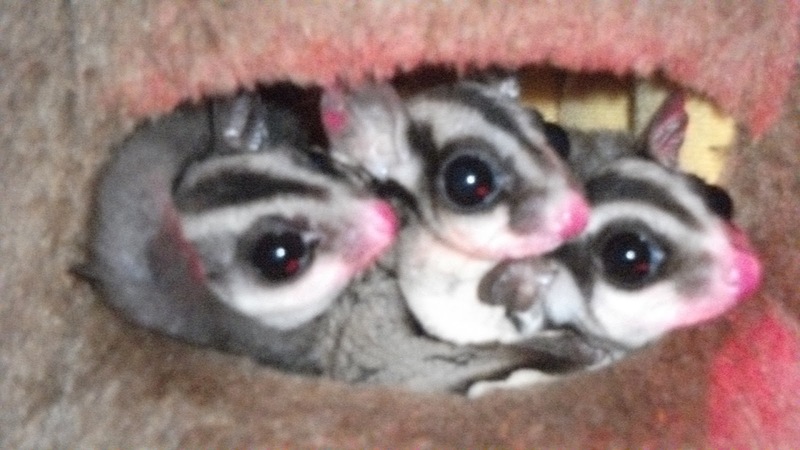 They live for weeks on the ground, seeking small amounts of organic material to eat. The best meal for them is "flea dirt," the remains of an adult flea's blood meals. Once these larvae attain a certain degree of health, they go into a pupae state and can lay in dormant wait for up to two years! Once they sense the vibrations of a large animal nearby, they hatch and immediately seek a host. 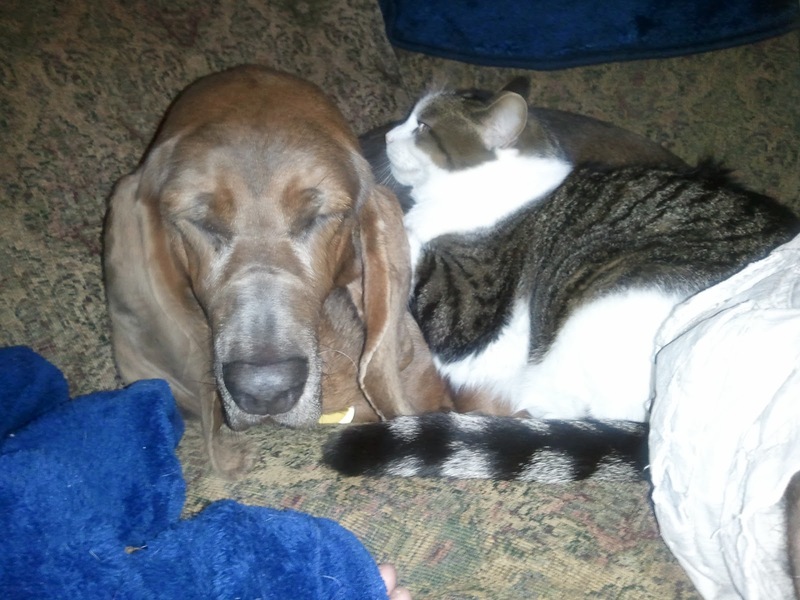 Cats are their preferred home, but they are quite happy to choose a dog as well. Adult fleas spend all their time on the host animal eating and laying eggs, which fall from the animal to restart the cycle. 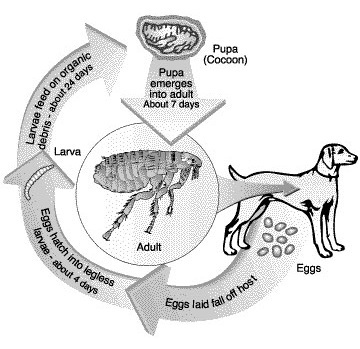 This peculiar lifecycle explains why in order to successfully eliminate fleas from your household you need to focus on the animal's body (where the adult fleas are), and areas where the pet spends a majority of its time (where the eggs and larvae live). 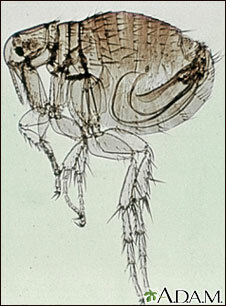 Adult fleas are best attacked with IGRs or insect growth regulators. IGRs are a group of pesticides that quite effectively destroy the reproductive system of insects but are essentially harmless to mammals. These are the products that are squeezed from a small tube onto the dog or cat's neck or spine. Frontline and Advantage fit this description, for example. Follow the instructions carefully, as the flea's lifecycle is longer than the effective period of these products. Also, be aware that these products are strong chemicals and you should consult a vet before using even the over-the-counter versions. Homemade remedies such as sticky pads and diatomaceous earth (DE) will kill some fleas, but generally cannot be used to eliminate the entire flea population. But removing the adult fleas does not solve the overall problem. Outdoor areas your pet frequents must be treated with a pesticide as well, usually a hose end sprayer full of a pyrethrin-based poison. The pet's bedding should be washed frequently in hot water and that and other areas your pet spends time in must be vacuumed. Then vacuum again often, as the vacuuming will cause vibrations that encourage the flea pupae to hatch and move around seeking a host. Young adult fleas will work their way out of a vacuum cleaner bag eventually, so empty your vacuum far away from the house or use a product like Flea Vac pellets to kill these insects inside the vacuum cleaner. These steps must be repeated periodically as well, to ensure you are capturing each successive generation of fleas. Flea infestations can be maddening. But with a good plan and by staying mindful of the flea's lifecycle, any flea population can be brought under control and removed from your house. August Bering V, "Augie" to his friends, is President of Bering's Hardware in Houston, TX. Bering's is well known for a broad range of carefully selected home goods such as outdoor living products to pet products, and red carpet service that has delighted customers for generations since 1940. From your bridal registry, decorating your first home, to your first baby registry, Bering's has special gifts for special occasions and the right tools for the right job. Augie enjoys spending time with his family and friends, grilling and cooking, playing hard outside, travelling, design, art, live music, and spending as much time as he can with his family. Having your cat urinate outside the litter box is one of the most challenging behavioral issues a cat owner can face. Not only can it be expensive to clean and/or replace your furniture or carpet, it can create a big rift between you and your cat. There are many reasons your cat might stop using the litter box, some which you may not have even thought of. Though this list is by no means all-inclusive, here are five of the common reasons a cat will pee outside the box. The first thing you should rule out when your cat stops using the litter box is a health issue. Things like a bladder infection, UTI, or struvite crystals often cause a cat to stop using the box. When the cat strains to urinate and it is painful, they may develop an association between the litter box and pain. You may find your cat urinating on smooth surfaces such as in your bathtub, on your linoleum, or in your laundry basket. The cat perceives these smooth surfaces as a more comfortable place to urinate. Taking your cat in to the vet as soon as you notice these symptoms is very important; fortunately, most infections can be easily treated with antiobiotics and the litter box avoidance issues should resolve on their own. 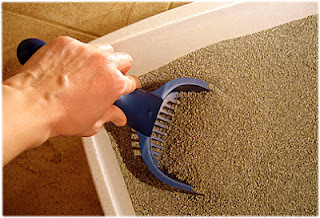 The type of cat litter you use may not seem like a big deal, but it is to your cat! One common mistake cat owners make is buying heavily scented cat litter. Most commercial litters are scented to cover up odors; this may be good for the owner, but it’s not good for the cat. Cats have a much keener sense of smell than humans, and perfumed cat litter can be absolutely overwhelming to their sensitive noses. That alone can be enough to make a cat avoid the litter box! Consider purchasing unscented cat litter for your cat’s box. The texture of the cat litter can also be very important to your cat. Out in “the wild”, cats bury their waste in sand or another finely grained substrate. Some commercial cat litters are made of larger, hard chunks of clay that can be painful to the feet of sensitive cats. Many cats simply will not like the texture. In general, cats prefer a finely milled clay litter. 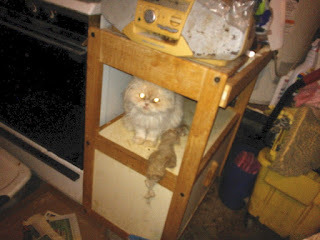 Many times when we choose the cat’s litter box, we choose what is convenient for our home. We fail to take into account the cat’s psychological and physiological requirements. If you notice urine or feces directly outside the litter box, do not automatically assume your cat is not using the box. They may just be using the *wrong* box for them! It is not uncommon for cats to “do their business” at the very back or very front of their litter box, thereby hanging their back end over the side of the box and missing it entirely. Sometimes this can happen due to their litter box being too small, but sometimes it can just be due to the way your cat likes to “go”. As a general rule, the bigger the litter box the better. 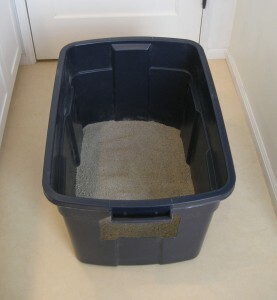 Many owners will make their own cat box out of a Rubbermaid tote, and cut an entrance for the cat in the front. This is a good-sized container, and also can help to eliminate the problem of the cat overshooting the box. For cats that tend to overshoot, a high-walled box is best (or even a covered litter box if the cat will tolerate it.) Another general rule of thumb is that you should have as many litter boxes as you have cats, plus one. In other words, if you have two cats you should have three boxes. If you have one cat, you should have 2 boxes. And so on and so forth. Speaking of covered litter boxes, these can also be a common reason for a cat to urinate inappropriately. In a multi-cat household, a covered litter box can make a cat feel trapped while they potty and make them feel susceptible to ambush. Rather than put themselves in perceived danger, they may just stop using the litter box altogether and find a more open place to urinate. A covered litter box can also be problematic in a single-cat household. Though we humans like the idea of keeping the cat’s waste out of sight, we must again take into account the cat’s keen sense of smell. A covered box tends to trap in odors, particularly the ammonia from urine. This can easily become overwhelming for a cat and cause them to avoid the litter box entirely. If a covered box is absolutely necessary, it should be cleaned on a daily basis and sanitized once weekly to keep odors at bay. You like privacy, and so does your cat! Your cat’s litter box should always be placed in a quiet, low-traffic area of the house. Many people choose the basement, laundry room or bathroom. You should never place the cat’s litter box in a busy area of the house like a child’s playroom, and the cat should never have to cross a very busy area to get to their litter box. The box should be placed in an area where the cat can keep a lookout while he does his business. Though they’ve been domesticated for a very long time, cats still have strong survival instincts and need to be on the lookout for “predators” while they are in a place as vulnerable as their litter box. As such, the box shouldn’t be tucked away behind a curtain or in a hideaway if possible. Homes with multiple litter boxes should also strategically place them throughout the home, on different levels and in different rooms. It may seem easiest to place several litter boxes next to each other, but doesn’t that just defeat the purpose of having multiple boxes? Many cats prefer to urinate in one box, and defecate in another. You may find that your cat likes to urinate in the litter box upstairs, while she prefers to defecate in the box in the basement. Cats like options! It is also important to note that cats do not like to defecate in the area where they eat. Therefore, the litter box should never be placed in the same room as the food and water dishes. Thanks for keeping my potty clean! Cats are impeccably clean creatures. The litter box is no exception! As a rule of thumb, a cat’s litter box should be cleaned once per day. Imagine how you would feel if you entered a restroom only to find the toilet covered with urine or overflowing with feces. You’d probably run the other way, and that’s exactly how your cat feels when the litter box gets out of hand. Your cat’s sense of smell comes into play again also, and a smelly litter box can literally make your cat turn tail and walk the other way…directly onto your carpet or couch. It’s far easier to maintain a clean litter box than to remove the smell of urine from fabric! It was announced by the Wisconsin DNR on Wednesday that White Nose Syndrome was found in bats in an Iowa cave less than 30 miles from the Wisconsin border. You might be asking yourself, “Why should I care about bats? What does it matter if they have white noses?” No matter your personal opinion on bats, White Nose Syndrome is a pandemic affecting bats across the country. Bats are an integral part of our ecosystem, and their health (believe it or not) has a direct impact on the human population. White Nose Syndrome is an illness affecting bats caused by a fungus (Geomyces destructans) that originated in European caves. Bats in Europe have evolved and co-existed with the fungus and therefore are not sickened by it, but bats in the US were caught off-guard when the fungus arrived here. 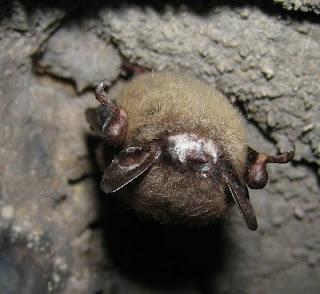 The fungus was first discovered in the United States in New York caves in about 2006, and at that time it killed about half of the wintering population of bats in affected caves. The name White Nose Syndrome refers to the white growth that appears on a bats’ nose when they are infected by the fungus. Fortunately the disease cannot be spread to humans, but it can be spread bat to bat and also spread to other caves by mechanical equipment. Right now six species of American bats are susceptible to WNS, and the mortality rate is estimated to be between 90 and 100 percent. What happens to a bat infected with White Nose Syndrome? Hibernating bats infected with White Nose Syndrome will have their hibernation cycle affected. A normal hibernating bat will awaken every 10-20 days, but a bat with WNS will wake up every 3-4 days. About 90% of the bats will die of starvation, due to awakening so frequently to eat/drink and the shortage of insects to eat during the winter months. The fungus also damages their connective tissues, muscles and skin. How is White Nose Syndrome cured? Herein lies the problem…as of now, it cannot be cured. Scientists are still not totally clear on what this fungus is, or how it sickens the bats. How does White Nose Syndrome affect me? Bats are of critical importance to our ecosystem. A single Little Brown Bat can eat over half of its weight in insects every night, and nursing mothers can eat their entire body weight's worth! If our ecosystem suffers a swift decline in the bat population, one can only imagine the population explosion of bugs humans will have to contend with. 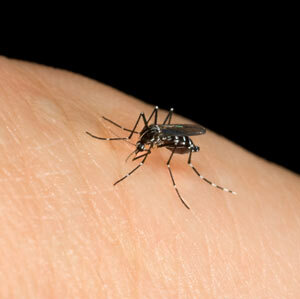 Here in Wisconsin, this will likely mean an increase in the number of mosquitoes we’ll be left to fend off. Bats tend to eat night-flying insects, so moths and beetle numbers would also increase. An increase in moths and beetles is a major blow to farmers. With more moths and beetles eating their crops, more pesticides will need to be employed—and the increased cost will inevitably trickle down to the consumer. Natural control of insects via the bat population saves the agriculture industry millions of dollars every year. In addition to the increased cost, an increased use of chemical pesticides will lead to more soil and water contamination affecting humans and wildlife for years to come. Consider planting a wildflower garden! You can help our bats survive by planting flowers that attract their prey insects. In addition to providing prey for bats, you will also attract beneficial bugs like ladybugs to help control aphids and other pests in your vegetable garden. Consider donating to the bat conservation effort! White Nose Syndrome is spreading quickly, and there is still no cure. Bats populations are expected to decline greatly, and some species may even face extinction if a cure for WNS cannot be found soon. Bat Conservation International is a great organization to support financially, and have many donation options available. If you like to donate more locally, consider becoming a member of Bat Conservation of Wisconsin. Tell your family and friends! Never underestimate the power of word-of-mouth. Tell your family and friends about White Nose Syndrome, and explain to them the impact of this horrible illness. The more people that are behind this very important cause, the better chance we'll have of finding a cure and saving our native bat populations. Everyone knows that dogs love going for a walk. Even the laziest pups enjoy a leisurely stroll around the neighborhood! Unfortunately in today's hectic society, sometimes it is hard to make time to walk the dog every day, or walk the dog as far as he'd like to go. This can lead to an overactive dog with no way to burn off his extra energy, or even an obesity problem. What can you do in a situation like this? You could hire a neighborhood teenager to walk the dog. But what if there are no trustworthy teens? What if you live in a quiet neighborhood full of retirees? The prospect of having a healthy, active dog may start to seem bleak. You may give up on your dream of owning a canine companion. NOT SO FAST! Dogs Love Running to the rescue! Dogs Love Running is a dog running and dog walking franchise that offers a variety of pet care services including pet sitting, dog walking, and...dog running! Yep, you heard me right---they will actually take your dog for a run. Imagine how tuckered out your dog would be after a long, satisfying run! At the moment, Dogs Love Running is only available in Illinois and Indiana, but it's a quickly growing franchise and certain to spread throughout the midwest soon. Hey, if you're serious about pet care or fitness, you may even want to check out starting a franchise of your own! Though Dogs Love Running doesn't yet have a location in Wisconsin, they were kind enough to grant Mad About Pets an in-depth interview about their business. Mad About Pets can't wait until Dogs Love Running is available here in the Madison Area! (Mad About Pets) First off…why dog running? Is it better for dogs to run than walk? 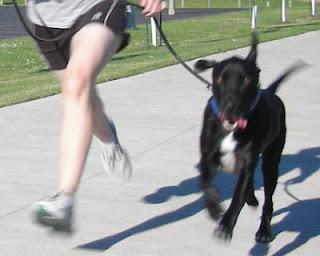 (Dogs Love Running) We started this company and our flagship service, dog running, because we saw a need that many dogs have; they are naturally full of energy but their owners have very limited time/ability to really let their dog cut loose and expel that energy in a positive way. Running can be great exercise for many dogs. Clients of ours that have sporting breeds like Labs, Retrievers, and other high-energy dogs absolutely love our running service. For them, running is a better option than walking just because it allows the dog to use up the energy inside them that otherwise might manifest itself in other ways (sometimes as bad behavior). For other clients of ours, walking is the better option due to the breed's nature, health concerns, or physical limitations. Do you find that certain breeds pop up more frequently in your business than others? Does it seem that some breeds *need* to run more than others? (DLR) Certain breeds naturally have more energy than others and most of our running clients tend to be mid-size to larger sporting type dogs. We still have pugs and bulldogs and those types of breeds too, but they'll use our walking service, not the running. Although we wouldn't say that any dog needs to specifically RUN, many do absolutely need a way to use all the pent up energy inside them. Running with us is a safe, consistent, and reliable means to burn off that energy and make dogs tired. If a dog has never run on a leash before, is it something they pick up on easily? 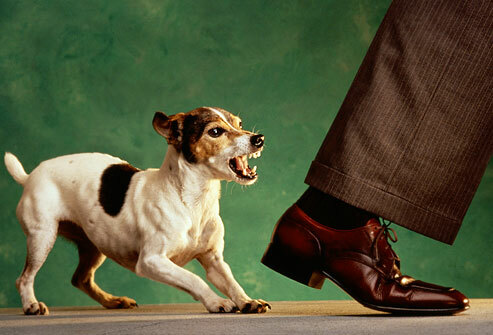 Does a dog need to be well-trained to walk on a leash before they can use your service? We've never had a situation where a dog wouldn't be able to walk or run with us on a leash. Some dogs are more trained and used to being on a leash than others and that definitely makes our job easier. 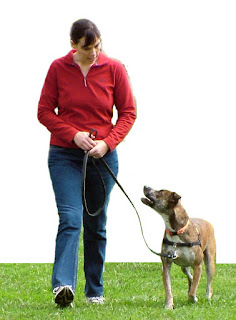 But even if they're not used to being on a leash, we always follow general dog training principles of keeping the dog on our left side and right next to us so that they get a consistent experience. They'll typically get used to this pretty quickly and it helps make for a more enjoyable experience for all since they know what to do. What kinds of people do you think most frequently use Dogs Love Running? 85% of our customers are those that are at work during the day (or somewhere that takes them out of their home for 8-12 hours/day) and need us to come and make a mid-day visit with their dog. Sometimes we visit 5 days per week if it's a case where the pet needs a bathroom break in addition to the exercise. Some clients have us come 2 or 3 times per week mostly just for the exercise portion of what we do. Also, there are lots of people that don't necessarily need us for running, but still appreciate what we can do for their pets with our walking service. Pugs, toy breeds, and many other dogs make for great walking partners. The other 15% of our business is from pet sitting. When people are gone for more than a day at a time, we can come and take care of their pets at their home. This can be for dogs, cats, fish, rabbits, and most other household pets. What kinds of safety precautions do you take so that customers know their dog is in good hands? 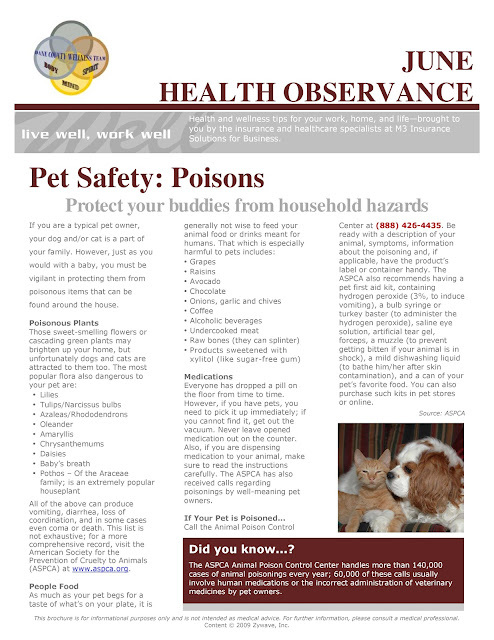 Pet and human safety is our number one consideration. As mentioned earlier, we adhere to generally accepted dog training principles while walking/running as well as during all other times when we have possession of a customer's furry friend. This helps keep people and pets safe since we're always doing the same things in a consistent and reliable manner. Our franchisees are people that run their business as their full-time job so they take it very seriously. They are always involved in dealing with the customers and keep a very detailed watch over their staff team members. All the people on our team go through an extensive interview and background check process as well as do a lot of training before they come in contact with customers' animals. Because of what we do and how we do it, we attract highly-qualified, responsible, trustworthy, and energetic staff members who truly love what they do. 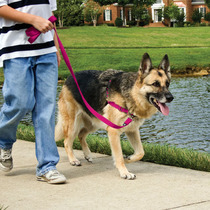 You also provide dog walking services: how important is it for elderly and/or obese dogs to get out every day to walk? Can you provide service to special dogs like these? Nearly every dog not only wants, but also needs, some type of routine exercise. For extreme examples that may include physical and/or health limitations, we need the client's veterinarian to sign off on what we're doing. Assuming that we have authorization, we can definitely help with dogs of all shapes and sizes. Not all our clients use us for running. Many use us for walking and even just backyard playtime. For an elderly pug, as an example, a run isn't going to be what they need. But some gentle backyard playing or a very casual stroll up and down the block in short distances may be just the ticket. We're very in tune with what the animal wants and can handle. In your opinion, what is the most important reason people should consider checking out Dogs Love Running? What we do that's different than 99.9% of all the other related services out there is that we try to help pets live longer and behave better through exercise. As a customer of Dogs Love Running!, you know that everything we do has a focus on exercise, healthy choices, and living an active lifestyle. And using our service is super-easy. We have the same team member visit your pet all the time, flexible scheduling, automated weekly credit card billing, and many other operational processes that make it a breeze for people to work with us. And, if someone is considering starting a pet business, they can join our team as a franchisee and we'll help them start and operate their own Dogs Love Running! business in their home town. We love what we do and both our human and animal clients love it, too. 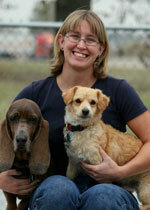 People can find out more at http://www.dogsloverunning.com/ or by calling 1-877-PETS-RUN.